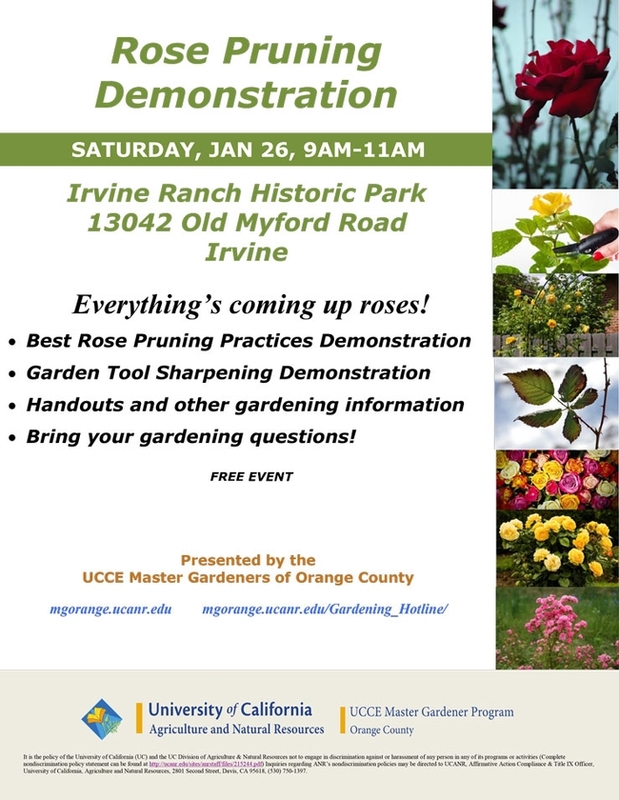 Best Rose Pruning Practices Demonstration. Garden Tool Sharpening Demonstration. Handouts and other gardening information. Bring your gardening questions!